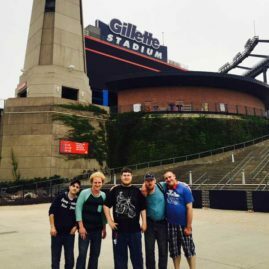 Whitmarsh offers integrated residential and community based services for those over the age of 21 who are receiving services through Rhode Island’s Behavioral Healthcare, Developmental Disabilities and Hospitals (BHDDH). Whitmarsh has a strong commitment for ensuring that those involved with BHDDH are given the best care possible through compassion, guidance and opportunity. We encourage our residents to become involved in their community and encourage natural supports. 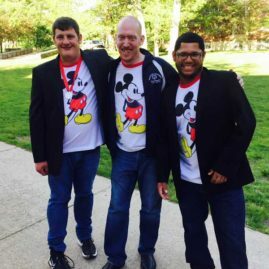 Some of our residents are very involved in the Special Olympics and do an amazing job. 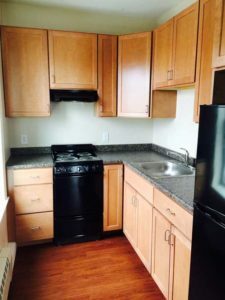 Whitmarsh has two residential settings in the Pawtucket community. Each home has two bedrooms which provides an individual space for each resident, while teaching all the social dynamics of having a roommate. Each home is staffed 24/7. Whitmarsh offers outreach services for consumers in the comfortability of their own home or apartment. Consumers (and their families) receive weekly support to move them forward in their personal goals and the life they want to live. Newly renovated efficiency apartments at the Mike Terry Apartments. Whitmarsh and Crossroads have formed a partnership, working collaboratively to help those between the ages of 18 and 26 years of age who are experiencing homelessness in the Providence area. The goal is to give access to stable housing to these individuals. Then, working with community resources, help them to get on their feet, find employment, and move out to an apartment on their own. 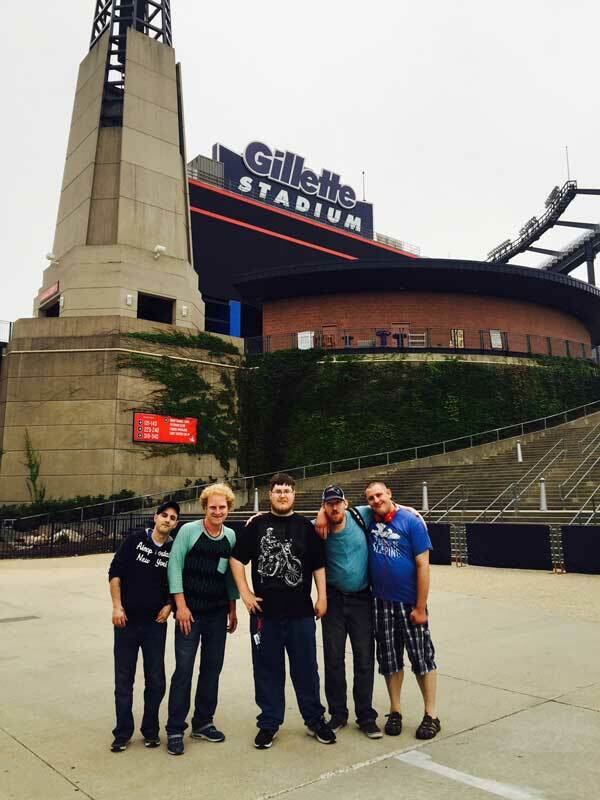 Ryan, Dakota, Nathan, Norman and Kenny at Gillette Stadium celebrating Nathan’s 26th Birthday. 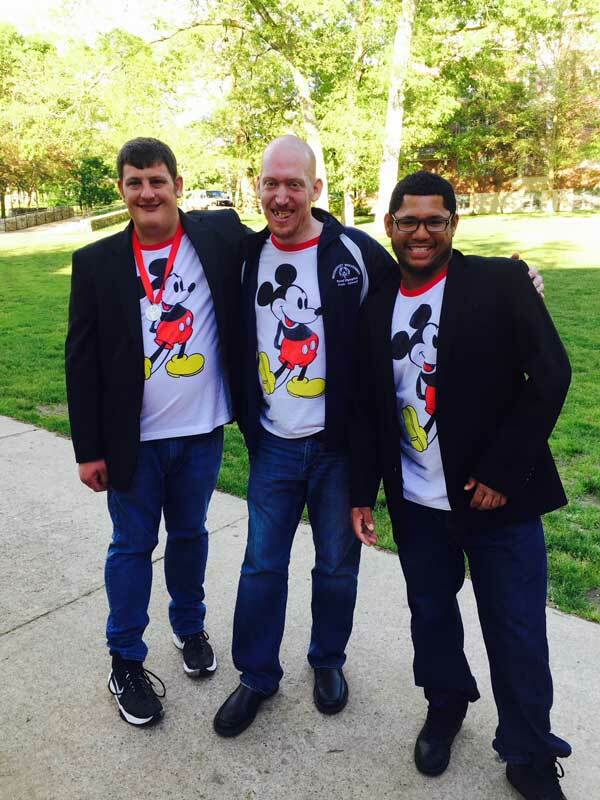 Kenny, Norman & Jason getting ready to head to the evening dance for Special Olympics of RI’s Summer Games. The adults and staff stayed the weekend at University of RI. 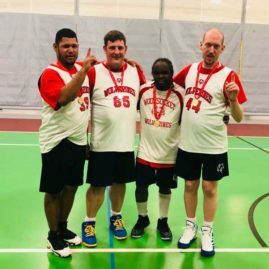 Jason, Kenny, Jeffrey and Norman played on Woonsocket Wolverines at Providence College. Woonsocket Wolverines won Gold Metals for the tournament. 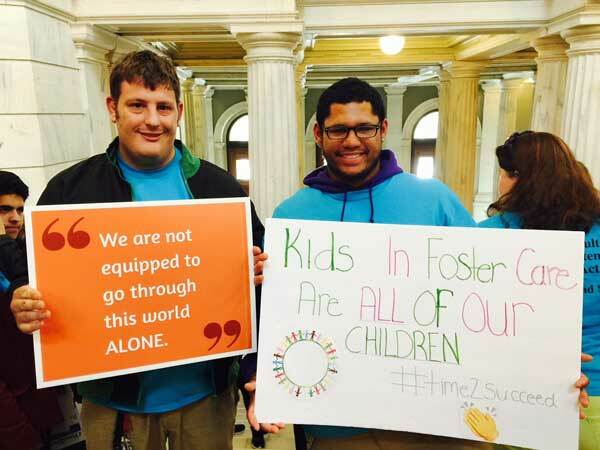 The adult program went to RI State House to advocate for DCYF children to have services until their 21. 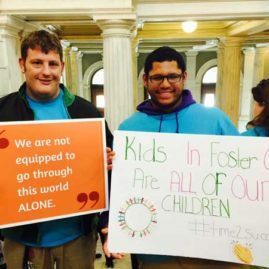 Kenny and Jason pictured in State House Rally.